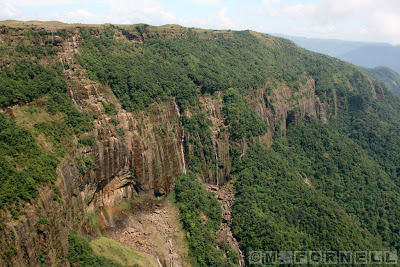 On the southern end of the Khasi Mountains, almost at the border to Bangladesh, there is Cherrapunjee, the wettest place on earth. The average annual rainfall in the area of Cherrapunjee that is drained by numerous valleys and vertical canyons is the highest reported rainfall on planet earth. The canyons and valleys, some of them are more than 1000 meters deep, are home to deep jungles with an amazing variety of plants and insects. 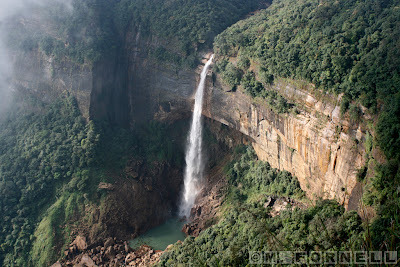 In the rainy season (June – August) when more than half of the annual rainfall comes down the canyons are drawn by breathtaking waterfalls and rivers carrying the water to the planes of Bangladesh. Whereas the stream beds are almost waterless in the dry season they are dangerous and impossible to cross during monsoon. 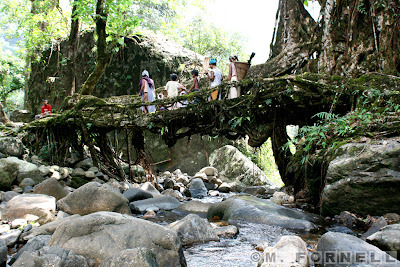 By strategic planting and training of the rubber tree Ficus Indicus that flourishes alongside the streams with its roots growing from all parts of the tree the Khasi ancestors with their experiments had perfected the art of making those living root bridges. These bridges are trained over 20 to 25 years to become fully functional and cross fast flowing rivers and streams. They are very strong and can carry up to 50 people at one time and are still being used by the villagers’ everyday. Perhaps they can last for 500 years and more after being well formed and supersede any comparable steel construction. 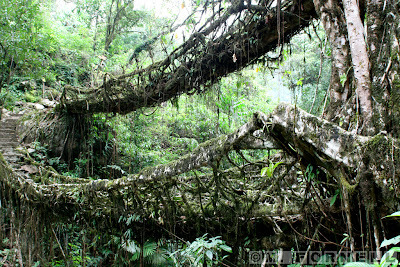 After a two hours trek and the crossing of two other root bridges the Umshiang Doule Decker Root Bridge named after the Umshiang River that is crossed can be found. These bioengineering wonders are unique and supposed to be exclusive to Meghalaya in the whole world. 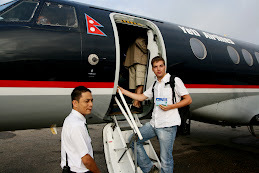 Ich finde deinen Trip durch Indien und seine Nachbarländer einzigartig und er verdient viel Anerkennung. Wie ich sehe, finden deine Bilder große Resonanz. Du weißt ja am besten, dass aus deiner Erfahrungsreise ein großer kultureller, menschlicher und politischer Mehrwert für dich erwächst. Ich wünsche dir alles Gute auch bei deinem Praktikum und Film-Projekt. Du scheinst das Bilder bearbeiten à la Photoshop nicht verlernt zu haben wie ich sehe und dein Englisch ... respekt! Simply fascinating and breath taking.